The tobacco industry embarked on a PR strategy that exaggerated the threat of the illicit tobacco trade in response to the Government's plans for plain packaging, a new research paper has claimed. "Tobacco companies are exaggerating the threat of illicit tobacco by commissioning surveys of dubious methodology, planting misleading press stories and misquoting government data," said one of the authors of the paper, Professor Anna Gilmore of the Tobacco Control Research Group at the University of Bath. The paper analysed UK newspaper articles published between 2008 and 2013. The UK Government announced proposals to enforce plain packaging on tobacco products in 2011 but decided to delay the plans last year, saying it wanted to wait to see research on the effects of plain packaging in Australia. Warning that industry data on illicit tobacco "must be treated with extreme caution", Gilmore added: "Industry claims that the use of illicit cigarettes in the UK is sharply increasing is wholly inconsistent with historical trends and recent independent data." The authors of the study are calling on tobacco companies to make their data publicly available and distinguish between the non-domestic and illicit tobacco trade. The paper, ‘Tobacco industry manipulation of data on and press coverage of the illicit tobacco trade in the UK’, has been published in the Journal of Tobacco Control. It found that industry data quoted in press coverage used questionable methodologies and indicated an increase in non-domestic and illicit cigarettes. In contrast, independent data showed steady declines between 2006 and 2012 and either a continued decline or small increase to 2013. Andy Rowell, the lead author of the study, commented: "Over the course of the past five years we have seen a marked increase in the number of scare stories placed by tobacco companies about the levels of illicit tobacco in the UK. 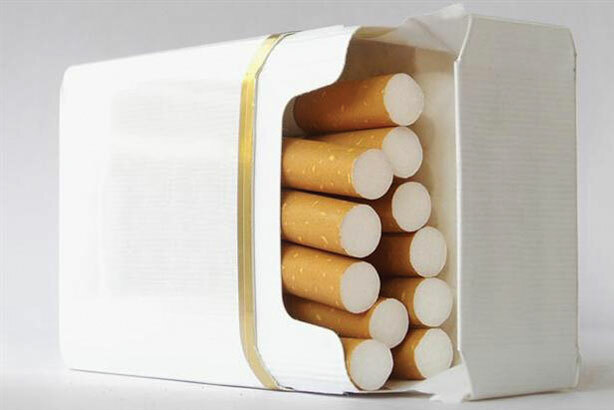 The illicit issue is being used by big tobacco as part of public relations strategy to raise doubts about the effectiveness of standardised packaging, with the aim of derailing legislation." Similar arguments were used by tobacco companies in Australia before plain packaging was introduced in December 2012. The Sydney Morning Herald newspaper revealed yesterday that official customs figures on illicit tobacco seizures in the country showed no evidence of any increase. A public consultation was held after the UK Government first announced proposals for plain packaging in 2011. In July 2013 after the consultation concluded, Health Secretary Jeremy Hunt said it would wait until "the impact of the decision in Australia" was understood before making a decision. An independent review commissioned in November 2013 and led by paediatrician Sir Cyril Chantler is due to report its findings on the public health benefits of plain packaging to the Government at the end of March.